I have been having a blast this week. It has been a tough 3 weeks in a lot of ways and I so needed time to rest, regroup, re-evaluate and relax. I got all of those accomplished and today I felt the need to write a quick post of this and that and the other. I made a new friend flying out of Rochester last week. Mayo Clinic basically supports all the flights out of that airport from the looks of it. 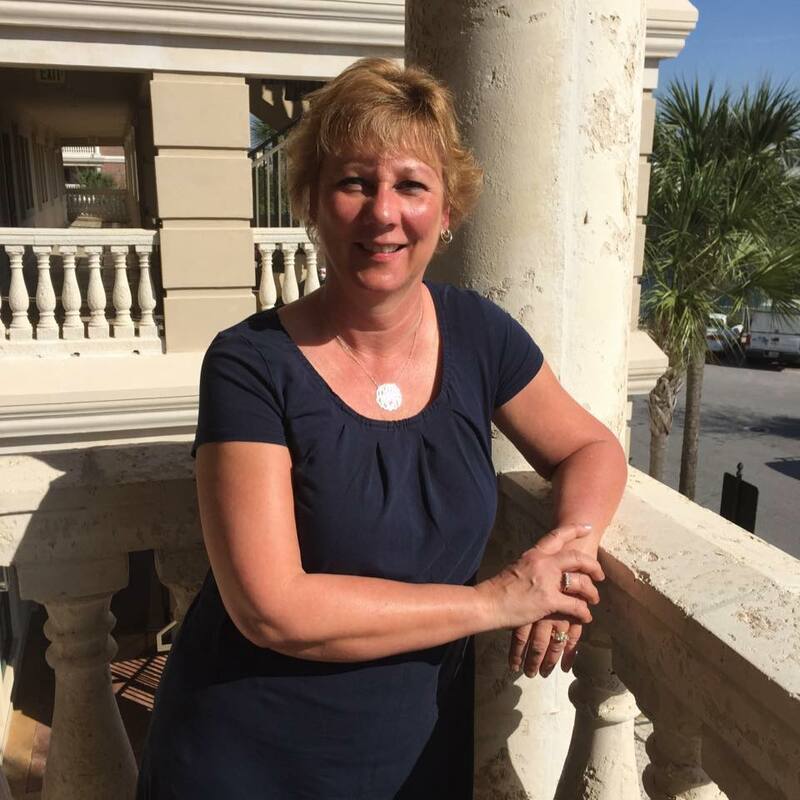 My new friend, Cheryl, lives in Texas and we immediately became fast friends. 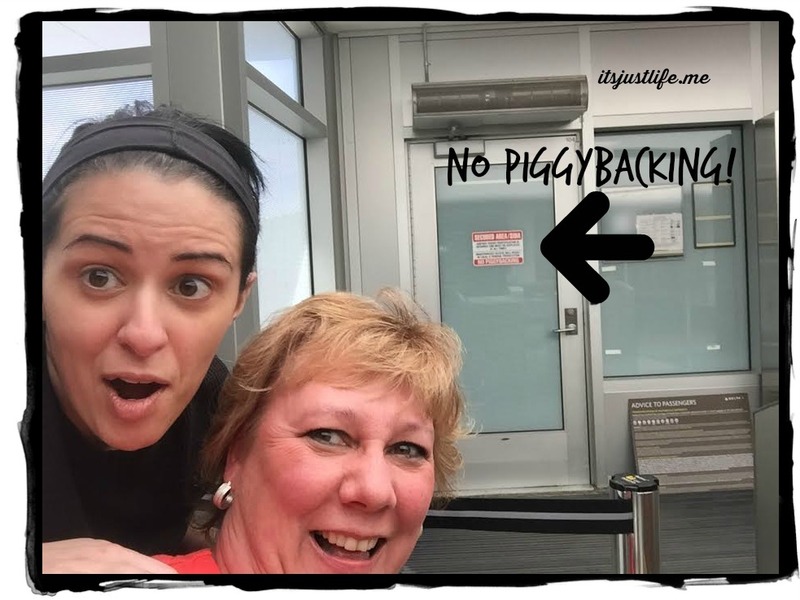 I was cracking up over the sign on the door which plainly, although not so plainly in my picture, states “NO Piggybacking”. It struck us both as funny so we tried to pose in a piggyback fashion. We have been spending time on the beach. I may have gotten a bit too much sun. Oops. Guess that 30 SPF was not working the way I intended it to but it’s all good. I will bronze soon. Chris did buy me a hat but did not spring for the $180 model. I am sporting the $19.99 one now. He said his love was conditional and that it did not include spending that much money on a hat. 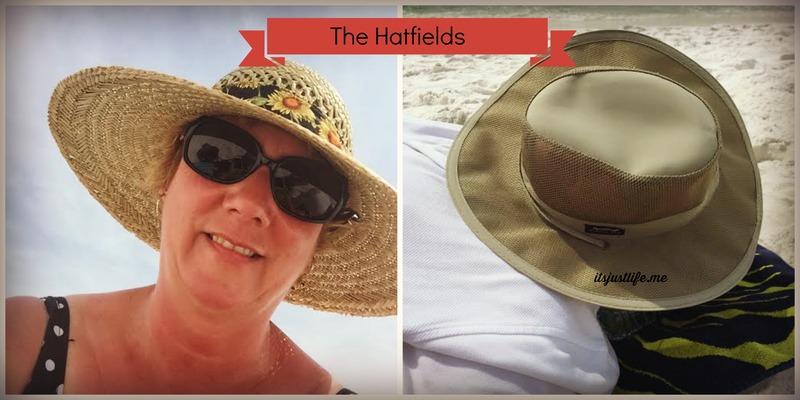 You may call us the Hatfields. I´m glad you had a chance to regroup, rest and relax. Your hair looks fabulous!! You will love your new home, I just know it. Good luck with the house sale. 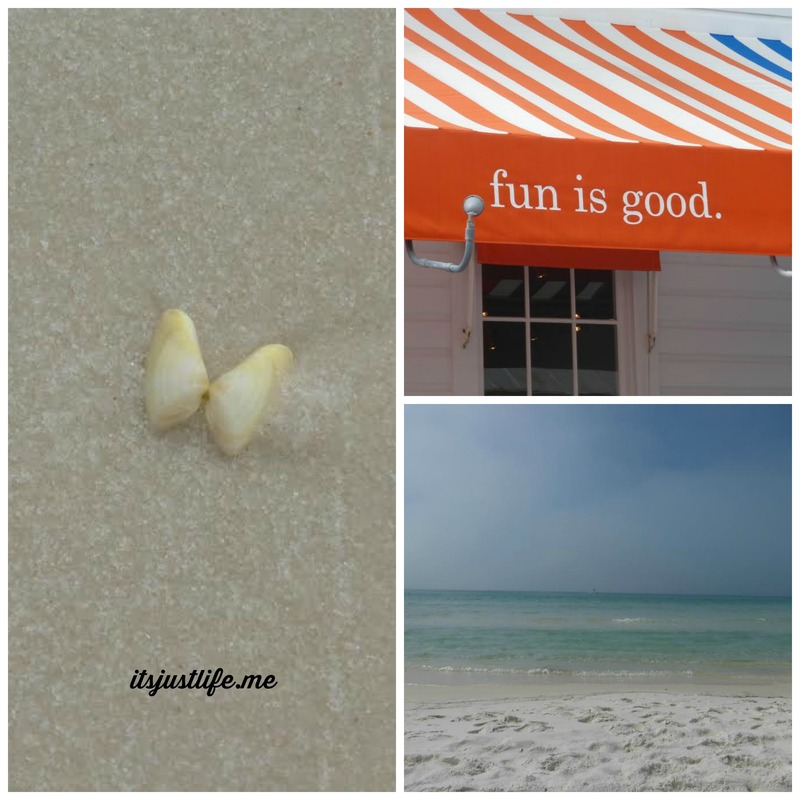 It’s fun to see snapshots of your vacation! 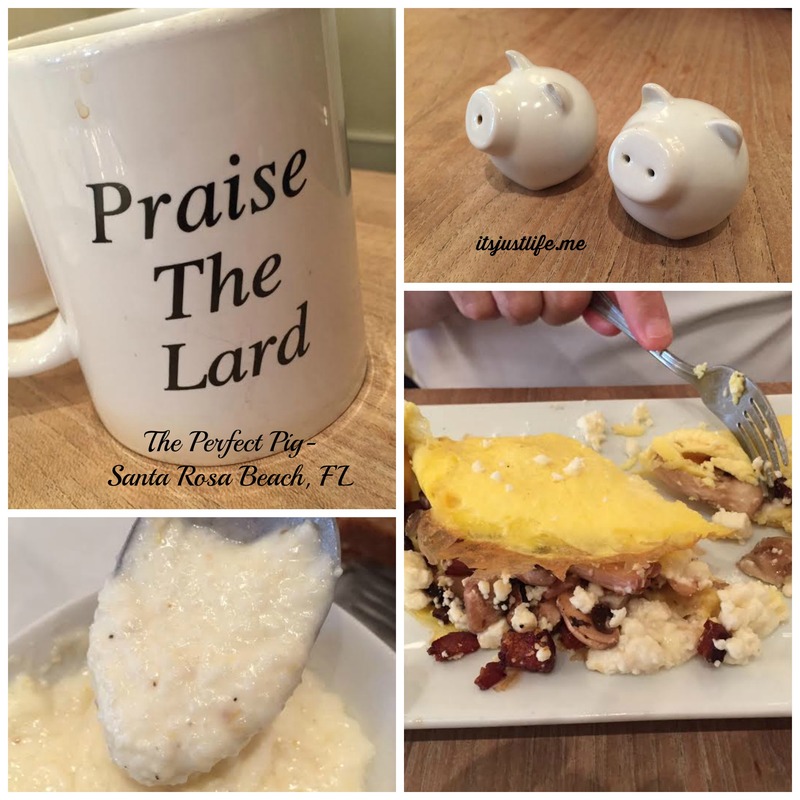 I love those little pig salt and pepper shakers. 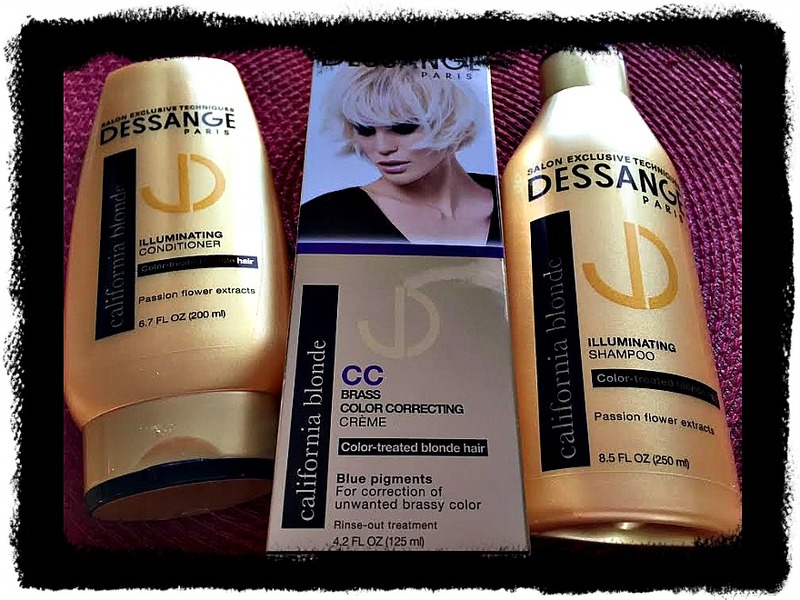 I’ll also have to give these hair products a try. You’re lookin’ great ! Have never really had vacation. I did go to the shopping mall though. Two years ago. You may be calling yourselves the “Hatfields” by I think you’re the real McCoy..
You are looking so good. The vacation, time away has obviously sited you well. Thanks, Judith! I appreciate the sweet comment! I need to pop over and see what is going on with you. Somehow I think I lost your blog from my feed so I need to go fix that! Those little piggies are cute! They are adorable, aren’t they? And very photogenic. I’m not surprised either that you made a new friend at the airport. That’s the Beth Ann way. I, so glad You got time to regroup and relax! I will be back down at the beach again in 3 weeks as well! Yippee! WOW! looks like such a great time! We did have a great time! Thanks, Hilary! I hope you n get lots of rest. So Dothan, Alabama is going to be your new home? Boy have I missed a lot!